There are two (2) screws under the rubber feet that allow you to remove the plastic feet that come with the chassis. This should make it pretty easy to add your own taste in case feet. After removing the front foot (required), the 3.5″ drive cage can be removed from the chassis. There are two (2) sets of holes to mount the drive cage on the front of the case. One is as shown above, and the second is right above it in the same position. The hole spacing for the two (2) 120mm fans in the floor of the case line up with a radiator, but make note that installing a 240mm radiator in this location will greatly limit the amount of space you have for the power supply. Up to a 280mm radiator can be installed on the front fan bracket. Some radiators with larger plenums may require the removal of the 3.5″ drive cage. 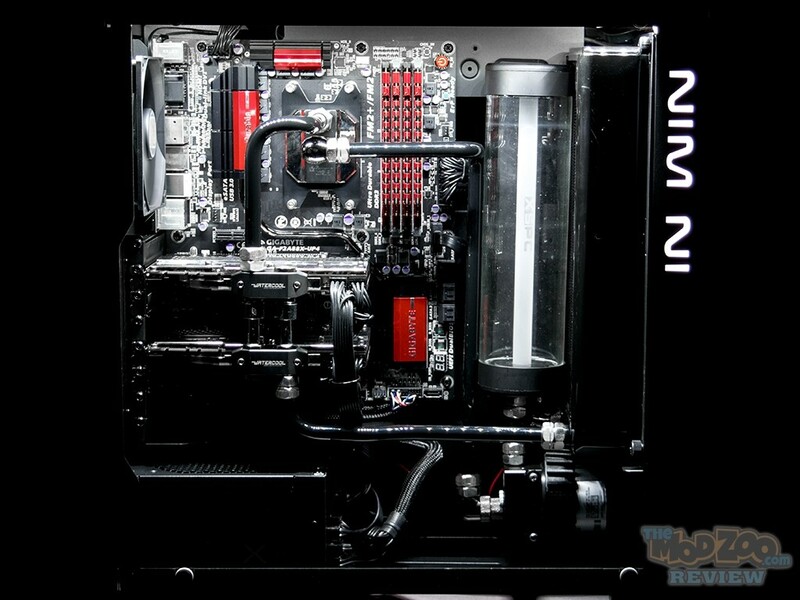 Although not supported officially, there is plenty of room to fit a 360mm radiator the front. It would require a little modification to the front fan bracket to accommodate it, but the space is there. There would also be room to add up to a 360mm radiator to the top, but it would have to be offset and probably limited to the thinner radiators to avoid motherboard clearance issues. Coming up next ….. Page 5: System Install. Thanks so much for your review! I bought a computer with this case, and Cyberpower installed the different components. Thanks to your article, I became aware that I could remove the front glass panel to allow more air in. Really appreciate finding that out as I was looking into ways to cool the system better.